Property prices are forever in flux. Over a long enough period of time, property values typically appreciate. But there are no guarantees in real estate, of course. When your property appreciates you have a larger asset to borrow against, and you'll produce a better profit when you sell. There are different reasons why property values in Walnut Creek vary. So, how do you know what you're purchasing today will appreciate over time? It's important that you choose a REALTOR® in Walnut Creek who knows the factors that influence local prices. A lot of people guess that the economy is the top factor impacting real estate appreciation. It goes without saying that interest rates, employment, job growth, government programs and a lot of other national factors have a noticeable effect on your property's value. However, your home's value and the things that play the biggest role in its appreciation are specific to the local Walnut Creek economy and housing market. Location in a community - Most people want homes in the areas with the most convenient amenities, such as our schools and jobs. So these areas generally appreciate, or retain their value, best. The latest home sales - You should receive reports on the recent real estate sales in the districts that you're interested in from your real estate agent. You'll want to learn data like how long a house stays on the market and seller discounts. History of appreciation - In the past 5-10 years, have home prices gone up or down? Does location or affordability affect how desirable the area is considered? Economic factors - Have companies moved into or away from an area? Are local businesses hiring? Is there a fair combination of job types in an area, or does it count on just one industry? All these play a part. 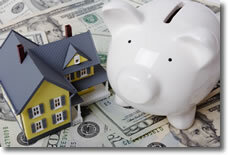 Identifying the factors that affect your home's financial worth is important. Click here to get an assessment of your house's value. And if you have any questions, call me at (925)381-6804 or e-mail me .